Friday Food is an occasional article about one of the more unusual food items to be found in Liuzhou that week. This week we are going hee-haw. Spring Festival 1998. I was in Yunnan province in a small village on the border between China and Myanmar/Burma. Strolling about the village I came across the local market. I’m a big market fan. The first place I look for when travelling. I’ve marketed all over the world. This one was a real farmer’s market on a surprisingly large patch of waste ground. It was, I was told, held weekly and people gathered from miles around to buy or sell or both. Most vendors had spread their wares on cloths on the ground. A few had trestle tables. As I explored I came across one table which had a real donkey’s head sitting up apparently looking at me. It was so odd. Turned out that I had come across the village donkey butcher and the head was his advertising. 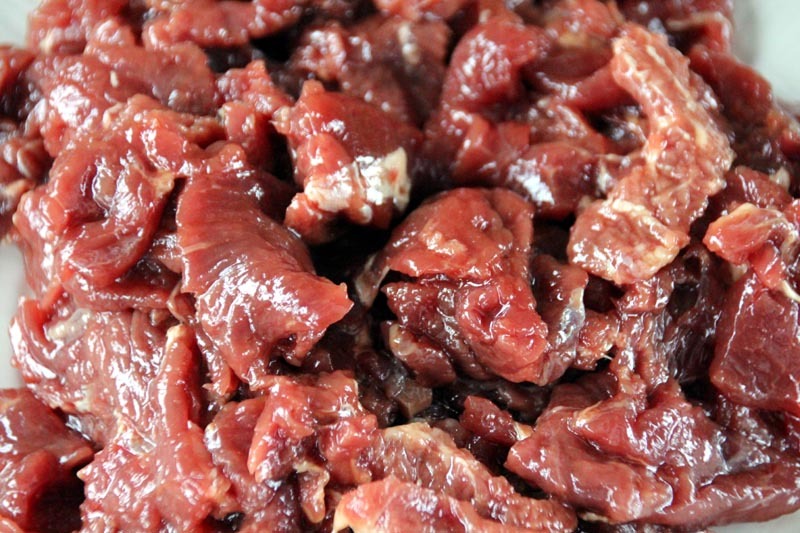 I had eaten donkey before – in Italy, where it is often used in salami and other charcuterie. I have no issues with eating equine meats, but the head was just weird. 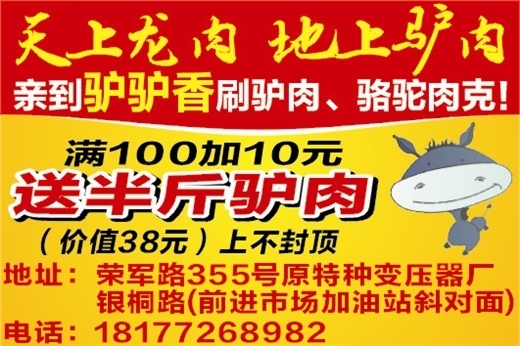 Here in Liuzhou there are a few donkey restaurants, mainly hot pot places. Look out for 驴肉. My fried ramen noodles with donkey, leek and chilli pepper. My new favourite lunch spot is on Zhongshan Dong Lu near Xinhua Bookstore and the Red Star. 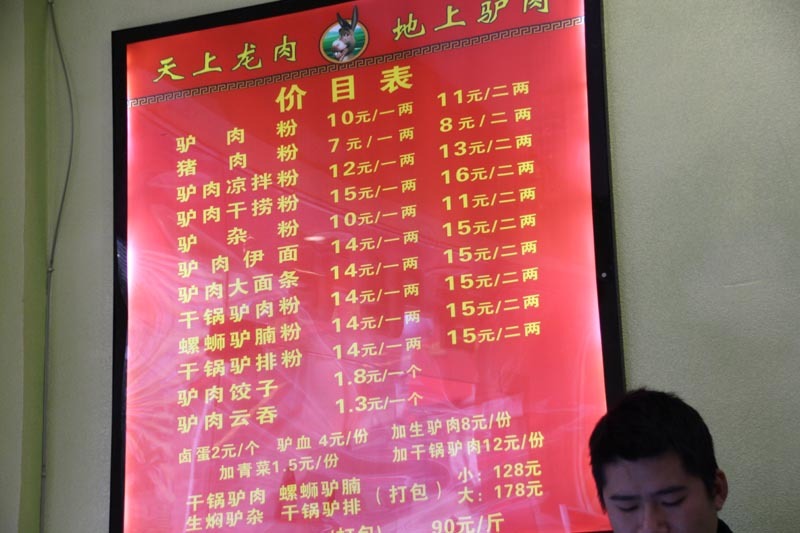 They have several dishes on their menu, only one of which doesn’t have donkey meat – pork with rice noodles. I usually have their signature dish, 驴肉粉 or Donkey Meat Rice Noodles. 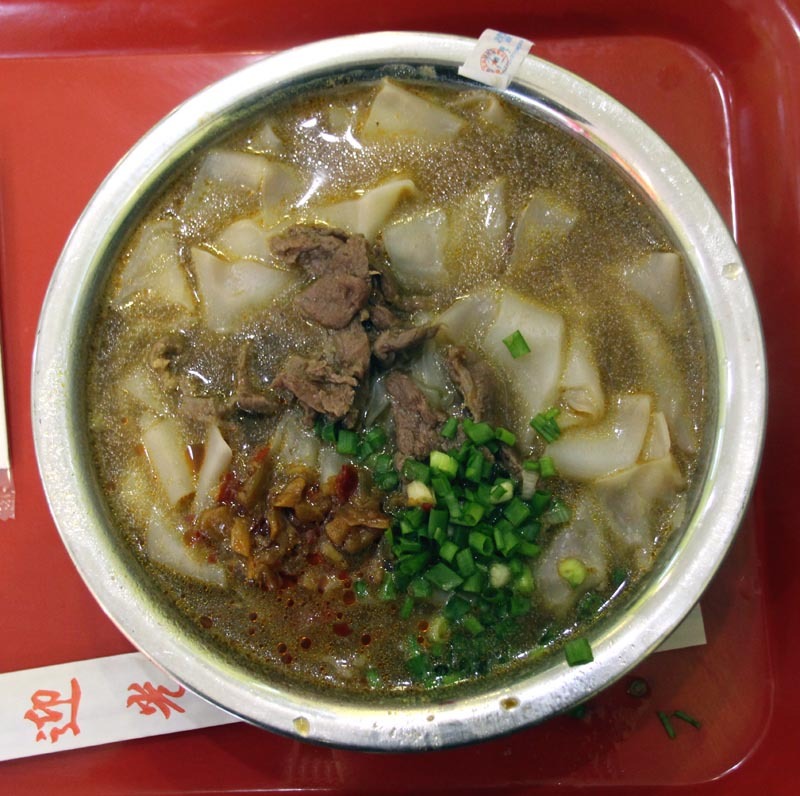 This is home-made, flat, wide rice noodles in a broth with the donkey meat, Chinese chives and chilli oil. As with most noodle shops, there are various condiments you can add. They also have donkey jiaozi or donkey wontons. They even have a version with Liuzhou snails and donkey meat. Donkey is a very low fat, high protein meat. It deserves long, slow cooking but ends up very soft. Much softer than beef. Alternatively, it can be thinly sliced and marinated. The taste is very mild and slightly sweet. Less pronounced than beef, I would say. (Unsurprisingly, it is similar to horse meat) . 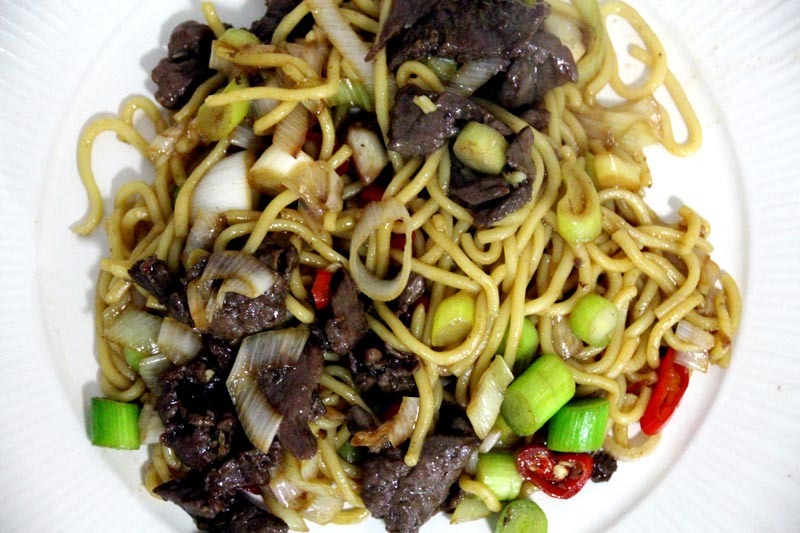 The noodle place also sells raw donkey meat for home cooking. ¥90 / 500 grams. Sadly, the restaurant featured here didn’t make it. It is now closed. There are other donkey meat places in town. I’ll post some details as soon as I can.
. This entry was posted on Friday, January 29th, 2016 at 7:00 am	and is filed under Food and Drink, Friday Food, Updates. You can follow any responses to this entry through the RSS 2.0 feed. Both comments and pings are currently closed. Fantastic! 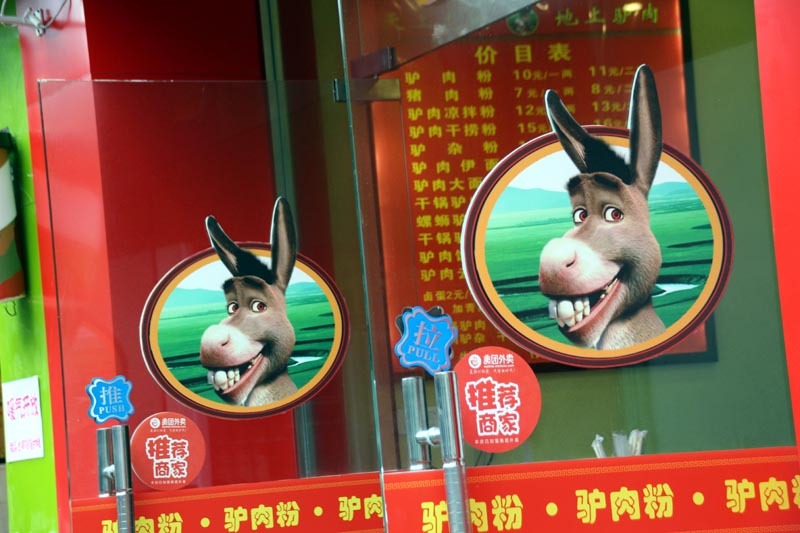 I’ve searched for donkey meat in Liuzhou but to no avail, I’ll be sure to check this place out next time! Do they have 驴肉火烧 by any chance? Thanks, Tim. 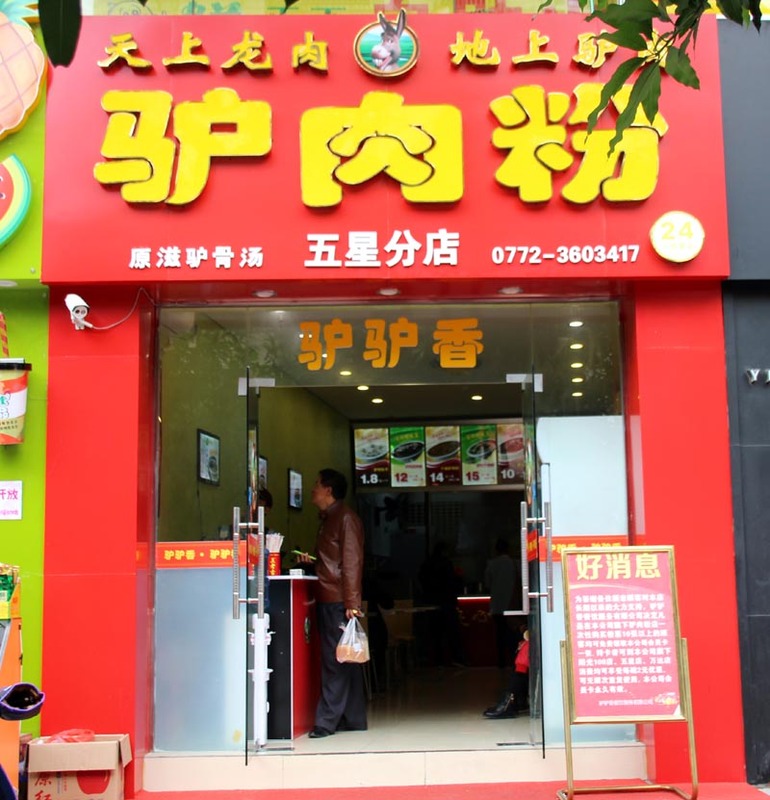 No, sadly I don’t know anywhere in Liuzhou which does Hebei/Beijing style “Donkey Burgers“. That doesn’t mean they aren’t out there. If you find one, please let me know! The place illustrated only really does noodle dishes. But, there are other places which do donkey hot pots. They tend to come and go, so the ones I know may not still be be standing. This place may still be there. I don’t know. If I bump into any more, I’ll let you know. A Google search in Chinese (for 驴肉火烧+柳州) comes up with this. If I get time, I’ll check it out during the holidays.